When I got the press release through for Selladoor Productions The Crucible I knew I had to put in my request for press tickets immediately. It’s one of my favourite plays, partly due to the personal joy I had in my life around the time I studied it and how much I loved performing in it, and partly because I am passionate about political theatre. As those of you who follow me on twitter (or who don’t follow me – I always lose followers in the run up to and immediate aftermath of any elections because I just can’t contain myself – #sorrynotsorry) know, I would consider myself to be politically engaged, and to be honest I have little time for anyone with any influence who doesn’t use it for something – and, with the country in the state it’s in, I think encouraging people to get involved in politics, to do research and to use their vote is something everyone should be doing. I made a video a while ago now that I want to revisit and remake called ‘In Support of The Arts’ in which I touched on how the arts are important because they give a voice to political movements and points of view and The Crucible was amongst the plays I mentioned in that video. When I made that video, although we in the UK had a conservative government in power, we hadn’t at that point had Brexit, seen the US vote in Trump or gone through the most recent election with it’s awful results and be sitting considering the disastrous potential of the Conservatives working with the DUP – who come across like a party straight out of 1692’s Salem, in which The Crucible is set. When I got the press release through and I requested the tickets it was post Brexit and just post Trump – it was December. I knew that this play would be as relevant as ever – indeed, a quote from Miller’s autobiography which is quoted in the program says ‘I can almost tell what the political situation in a country is when the play is suddenly a hit there – it is either a warning of tyrant on the way or a reminder of tyranny just past.’ I knew sitting through this play would be uncomfortable. I couldn’t have foreseen the Glasgow part of this tour taking place under the current political situation, helped along by the surge of Scottish seats won by the Conservatives. I’ll be totally honest and say as much as I love political theatre, what it can be used for and what it can inspire, I’m actually not a massive fan of Brechtian staging. I understand why it’s used, and the principals behind it (my undergrad degree is in Theatre Studies, I promise I know what I’m talking about) but it’s not my cup of tea, and this is a Brechtian staging. 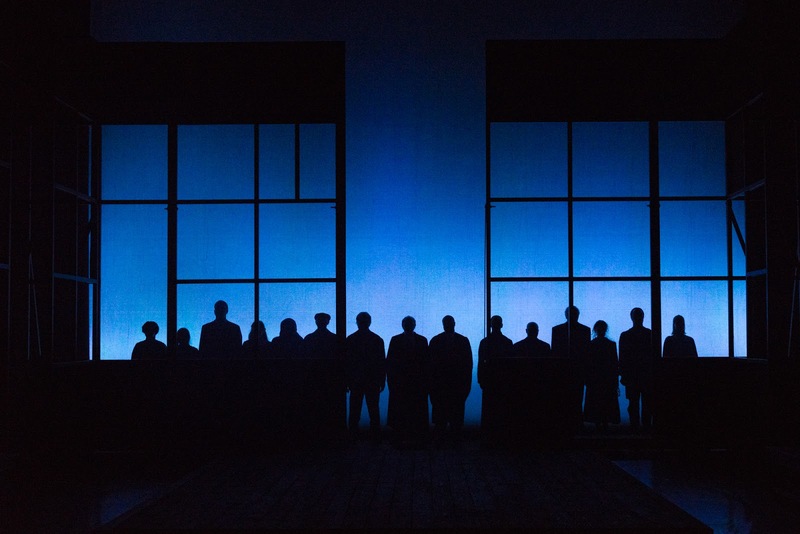 Ensemble cast with most playing multiple roles, stage directions not spoken but projected onto the back of the set, the set itself being a 3 sided box on the stage, its sides and the cast entering and exiting off of it clearly visible before the stage’s true wings. It’s classic Brecht. When the play is as on the nose with its message as this one is, I don’t think those extras are necessary, and at times I did find myself being distracted by the actors waiting to enter the stage area. The actors themselves I thought were very good – Charlie Condou as Revered Hale in particular had a lovely journey from the man who arrives in Salem as the man who thought he knew it all, emboldened by his church, his principals and morals, and leaving knowing he carried blood on his head. I also have to give a huge shout out to Augustina Seymour who played both the snivelling, wet Mary Warren and the Godly Rebecca Nurse, and managed both parts perfectly. 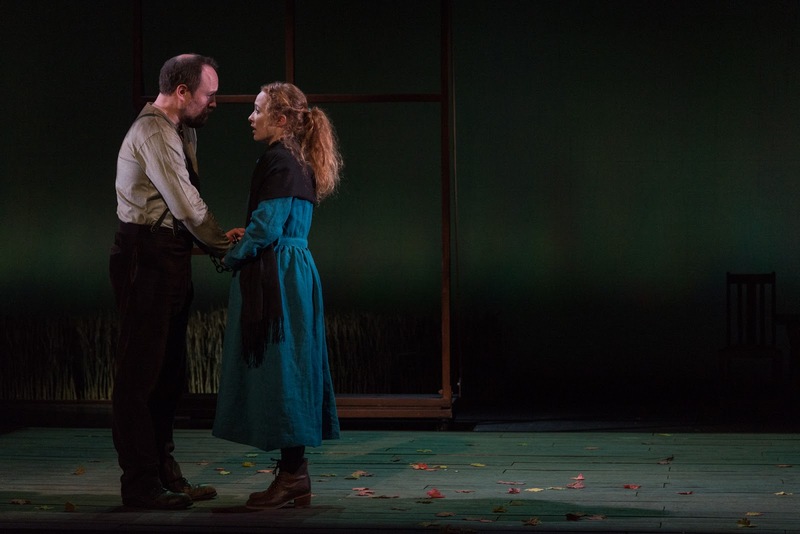 Act 1 for me fell a little flatter than I felt it should have – the hysteria never seemed to reach enough of a height, and I didn’t think there was much chemistry between Lucy Keirl’s Abigail Williams and Eoin Slattery’s Proctor. Though it may be the promise a stallion gives a mare that he has given her, there’s a very short window in which Abbey and Proctor are on stage together and a lot of weight falls on that time – we have to see why she takes it as far as she does. Yes, the whole things starts from the fear of being caught dancing in the woods, but she cries for the murder of Elizabeth Proctor. It has to be believable that she would go that far, and it has to be believable that he has looked at her window, as he admits to having done since Elizabeth turned her out. Whatever was between them is over without being over, and that has to come across. I didn’t feel that it did. However, after Act 1 I thought Slattery gave a perfect performance and that final scene got me in so many ways – I cried in the theatre. So I would say the issue with Act 1 lies at the feet of the director, and what the actors has been told to do as opposed to the actors. Keirl’s Abigail never really hit the spot for me at all, but again I think that’s probably the way she had been directed as there were flashes were I started to see what I wanted to in her. Carl Patrick was deliciously detestable as Putnum and David Delve’s Giles Corey was spot on. Despite the Brechtian staging I enjoyed that the costumes and the stage that there was weren’t modernised. Although I think Brechtian staging generally unnecessary I did appreciate that, though the costumes were not 1692 they weren’t 2017 either. They existed in a safe, past environment. The removal of the strict puritan dress could have potentially taken away from the incredible tense community in which this play is set, but, as I’ve already said, watching it in the current climate meant that wasn’t an issue. Modernising it would have been a bit too in-your-face for me – I think it’s important to remember that Miller turned to the 1692 Salem Witch Trials as a metaphor because he himself was terrified of coming in front of the HUAC. I think it’s important to remember the metaphor was used because of a lack of free speech. This morning we woke to the news of the fire in the London tower block. Normal people have literally burned alive because they were living in unsafe conditions. Those people had raised concerns over this numerous times and been shut down by Kensington and Chelsea Tenant Management Organisation and the Royal Borough of Kensington and Chelsea Council. Cuts by the government to the fire services, so that the money could be funnelled elsewhere (into bombing Syria perhaps?) meant there weren’t even the resources required on hand to save lives. This is a tragedy, on so many levels. But it is, undeniably, political. This is yet another political issue which has resulted in the suffering, and, in this instance, death, of normal, everyday people. 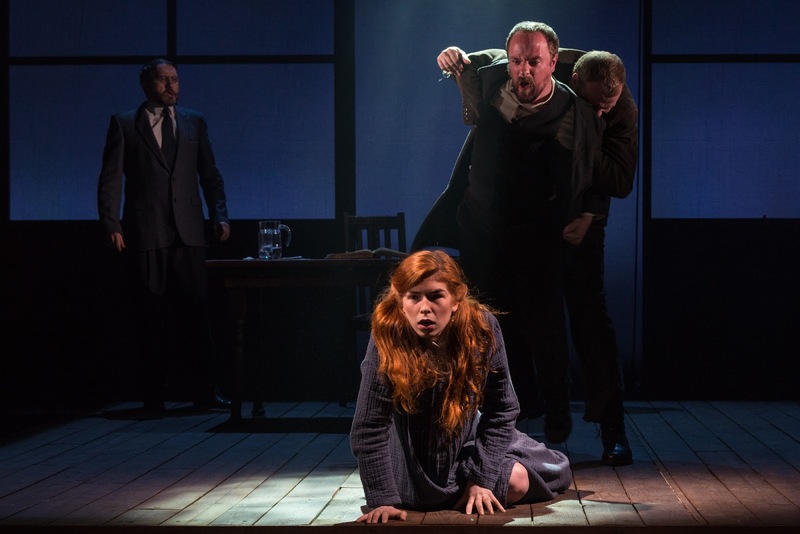 Selladoor Production's The Crucible will run in the Theatre Royal, Glasgow until Saturday 17th June and you can buy tickets here.